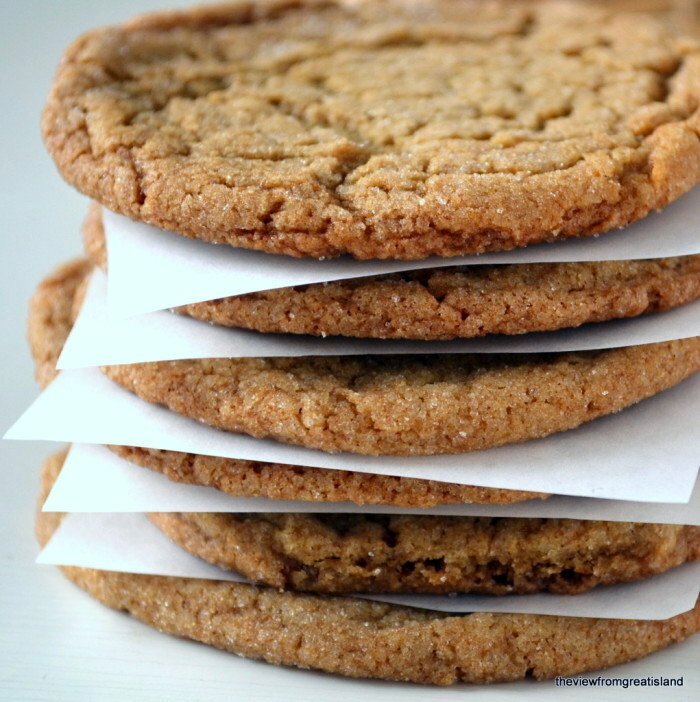 Chewy Ginger Cookies are the ultimate fall and holiday cookie, full of spices and molasses, they're easy to make and your whole house will smell amazing. Set the oven to 350F. Add the dry ingredients and mix until blended. Form or scoop balls the size of a small walnut. Roll in granulated sugar to coat. Place on an un-greased or parchment paper lined baking sheet 2" apart. Bake for 10-12 minutes, an let cool slightly on the pan before transferring to a rack.